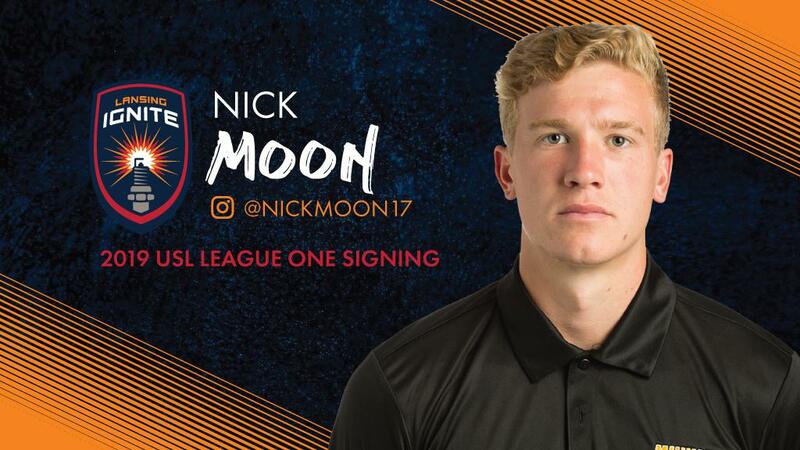 LANSING, Mich. – Lansing Ignite FC added to its inaugural roster on Wednesday as the club announced the signing of former University of Wisconsin-Milwaukee standout Nick Moon after a successful trial with the club. The 6-foot-1 Waukesha, Wisconsin native has the size and ability to excel in a variety of positions on the field, including as a forward, in the midfield and as a winger or fullback. Moon scored 12 goals and provided 13 assists in 71 appearances for the Panthers over his four collegiate seasons. He recorded his strongest season his senior year, tallying six goals and six assists en route to earning First Team All-Horizon League honors. Moon has also featured for Lane United FC in USL League Two, scoring 12 goals and assisting on four more in 24 appearances for the club. Moon becomes the 14th player added to Lansing’s roster for the 2019 campaign, joining Xavier Gomez, Rafa Mentzingen, Christian Silva, Kyle Carr, Nathan Lewis, Steeve Saint-Duc, Kyle Ihn, Rhys Williams, Kevin Coiffic, Omar Castro, Brandon Fricke, Pato Botello Faz and Grant Stoneman.